Born and raised right here in Central PA, Adam moved back to his hometown of Middleburg in 2014, and began serving at Paxtonville United Methodsit Church in early 2015. After graduating from Westminster Choir College in 2004 with a B.M. in Music Education, he migrated to New York City to pursue musical theatre. While auditioning, and between shows, Adam sang with The Philadelphia Singers, and The New York Choral Artists, performing with The New York Philharmonic, and The Philadelphia Orchestra in venues such as Carnegie Hall, Alice Tully Hall, and The Kimmel Center. He now sings with the Susquehanna Valley Chorale, and is assistant director for all Drama productions at Midd-West High School. Pastor Brian Lucas is a life-long Pennsylvanian having been born and raised in a small town outside of Scranton. The youngest of eight children, church and Sunday school were a regular part of his upbringing. He earned a B.S. degree in political science from the University of Scranton and entered the workforce. After almost fifteen years in sales and management, he found that he could no longer ignore God’s call and decided to pursue licensed ministry. Brian received his first appointment to a three point part-time charge in July 2001, became a full-time local pastor in July 2005, and joined us in Paxtonville in July 2012. 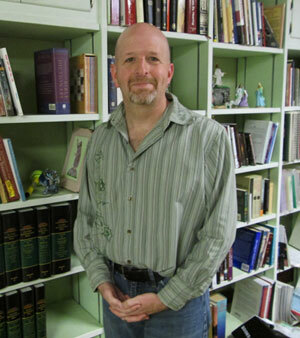 He completed the United Methodist Course of Study at Wesley Theological Seminary in Washington D.C. in July 2009, and is currently in process for Associate Membership in the Susquehanna Conference. The spiritual aspect of worship and faith development is very important to Brian, and he was named to the board of directors of the Center for Spiritual Formation in 2011. Since the center’s retreat facility is only 40 minutes from the Paxtonville U.M.C., Brian plans on leading spiritual discipline retreats there. 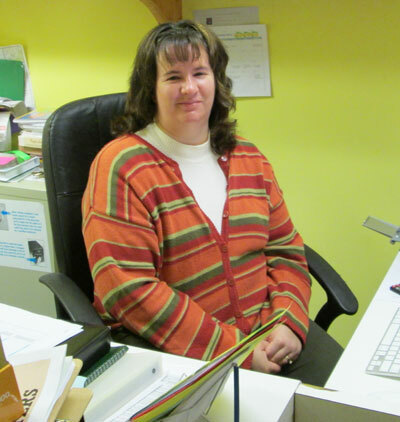 Amanda has been attending Paxtonville UMC since the age of 6. She officially became a member at 16. She and her loving husband, Tony Moyer, share a home in Beavertown where you may find her trying to improve on her cooking skills, or digging in the dirt to plant more flowers. Amanda has an Associate Degree in Medical Office Management, but after graduating and job searching, she felt God urging her to join the staff of the church, where she has worked for close to 10 years. Along with Amanda’s duties in the office; she also participates in the “Nomads” Sunday School class, and helps in their outreach activities. During her office hours if you can’t find Amanda at her desk, you may either find her using her craft skills to decorate a bulletin board or outside coming up with a clever saying for the front yard message board.